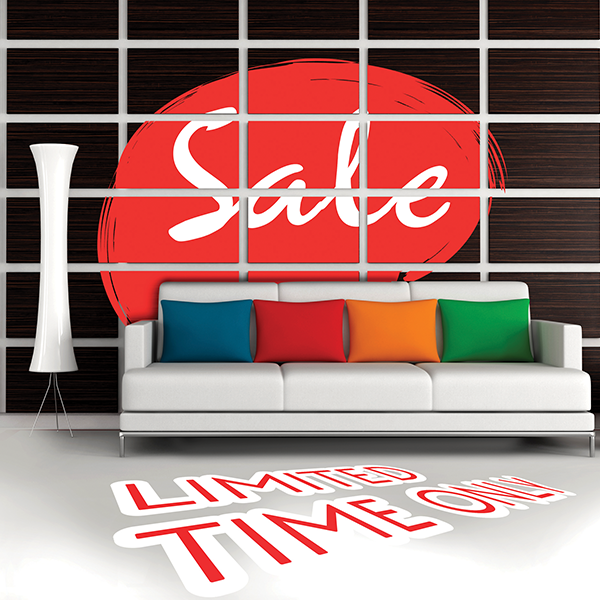 FloorTac delivers attention grabbing graphics that take floors from drab to fab. The polymeric PVC film for floor graphics has a removable, non-damaging adhesive, making FloorTac ideal for short-term indoor advertising with graphics applied to the floor. When combined with Drytac’s Emerytex laminating films, FloorTac provides a certified slip-resistant finish for the ultimate floor graphics solution. FloorTac polymeric PVC film can be applied to virtually any type of flooring. It provides a non-slip graphics surface to ceramic tiles, sealed wood, concrete, waxed vinyl, marble or terrazzo. 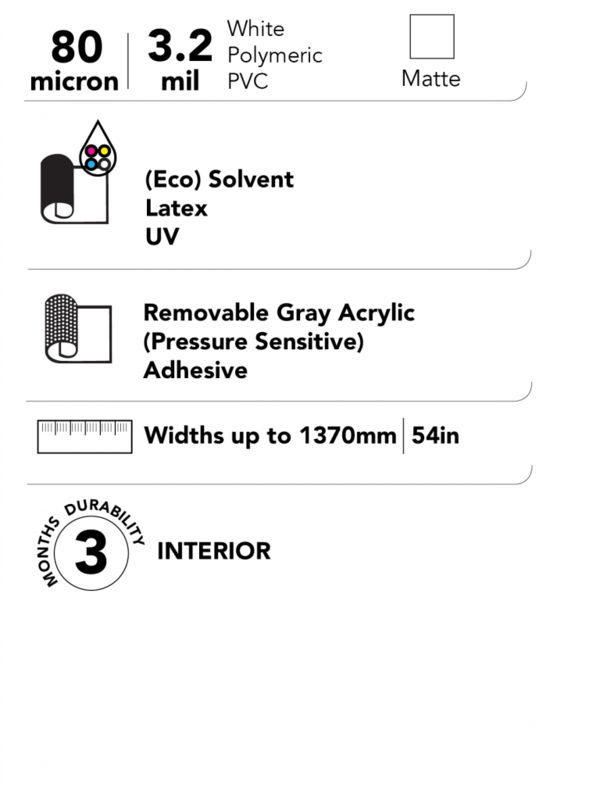 FloorTac is an 80μ (3.2 mil) printable matte white polymeric PVC film with a removable, pressure sensitive gray acrylic adhesive protected by a poly coated Kraft release liner. It is ideal for short-term indoor graphics and floor graphics and is suitable for mid to heavy foot traffic areas. *This product is for the North American market only.